UPF-Nepal, Kathmandu, Nepal: After the earthquake of April 25, 2015, many people asked, “Where was God? So many people died and suffered; why didn’t God stop the earthquake?” This is a historical paradox for religious people: If God is all-good, all-powerful and all-knowing, why do suffering and evil exist? I do not believe in a magical, supernatural God. I see God within law and order, within principles and natural law. After all, God created this world and the laws that govern it. But also God is like a parent. So, because earthquakes are part of the natural order, God cannot stop them altogether. However, He can influence the timing so as to minimize the suffering. And in the case of Nepal, He did. What if the earthquake had happened at night? Surely thousands or even tens of thousands more would have been killed and injured. What if the earthquake had taken place during the week, when people were in their offices and shops, and children in school? Very likely the number of fatalities would have been much higher. And what if the earthquake had happened during the winter? With the epicenter in northern Nepal, in my hometown of Gorkha, the homeless survivors would have had to face harsh, freezing weather. This would have added to their suffering and reduced their chances of survival. And what if our airport runway had been damaged? We saw what happened a few weeks ago when a Turkish airplane skidded off the tarmac and blocked the only runway at our only international airport for four days. Thank God, the airport was not damaged. We also can be grateful that the earthquake took place on a Saturday, in the middle of the day and during the spring season. There is another reason to be grateful. The Universal Peace Federation had planned and prepared for two Interfaith Marriage Blessing programs on the day of the earthquake. One was in Balambu village, Kathmandu District, for more than 700 couples and the other was in Morang District for 1,200 couples. UPF-Asia Regional Chair Dr. Chung Sik Yong was visiting Nepal specifically to attend the program in Kathmandu. As the earth in front of him began to shake violently, he quickly realized this was an earthquake. The building right in front of him collapsed. A minute later he surveyed the village from his vantage-point and saw clouds of dust across the skyline having arisen from hundreds of collapsed buildings and homes. Although the program was canceled, the participants were so grateful. If they had not been at the Marriage Blessing, most likely they would have been at home and might well have been killed. Another blessing was that the venue for the event, a tent, was immediately turned into a refugee camp and remains so until today. Immediately Dr. Yong reported about the earthquake to UPF Co-Founder Dr. Hak Ja Han Moon in Korea. Upon hearing about the devastation, Dr. Moon announced that a $1 million donation would be sent to Nepal. This decision was made on April 26, one day after the quake. Some nations have given this amount, but UPF is an NGO and so this donation truly expresses Dr. Moon’s heartfelt concern for Nepal. Since the earthquake, UPF, along with its sister organization Women’s Federation for World Peace (WFWP), has distributed relief aid in several locations in Nepal. I traveled to Gorkha on May 1 to deliver tents and 30-kg. bags of rice to those most affected. The same day WFWP distributed bags of rice in the village of Gagalphedi and small amounts of cash in the village of Sundarijal on the outskirts of Kathmandu. The following day UPF held a candlelight memorial at the Mandala Park in Maitighar. 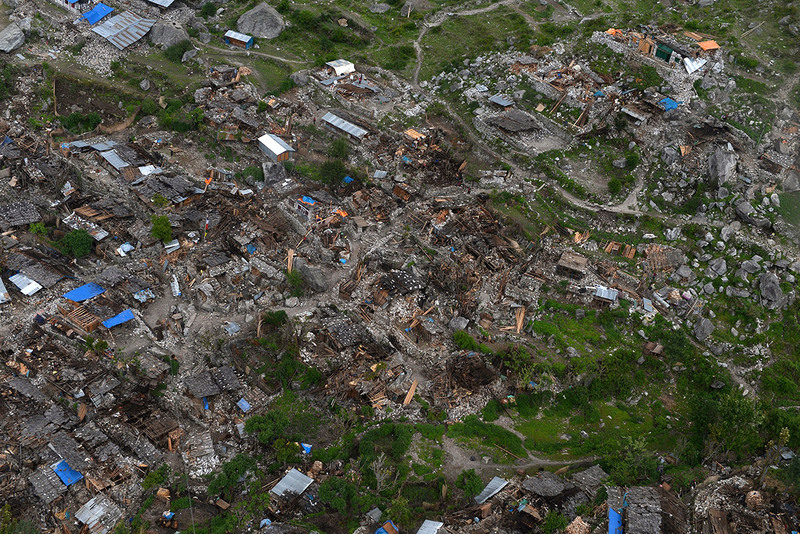 Although the earthquake brought untold death and destruction, it could have been far worse. The timing of the quake, I believe, was in the hands of God.